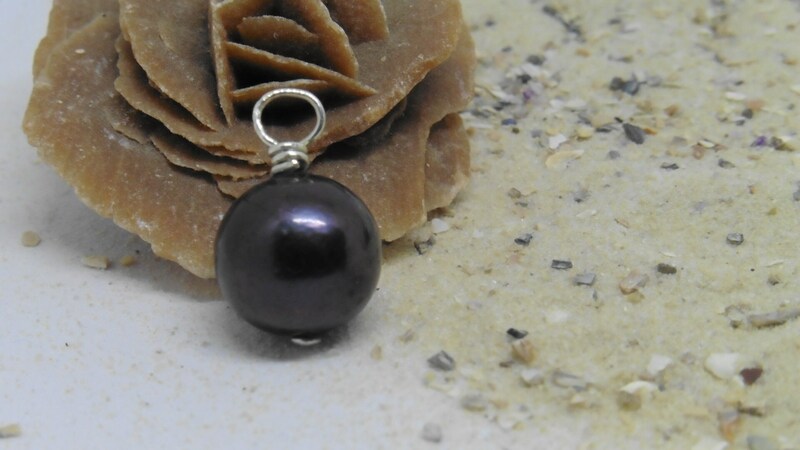 A pearl pendant made of a single very large Baroque pearl with silver eyelet for sparkling, for example for a silk ribbon. This pendant also looks enchanting on a delicate silver chain. It's a real Ming or Edison pearl. 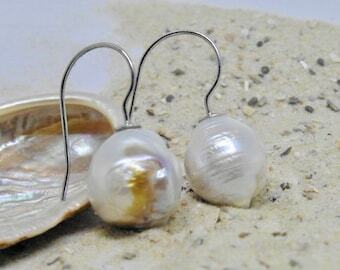 When you buy, you get exactly this pearl. The lower borehole was decorated by a silver rivet. 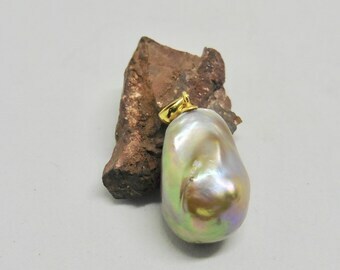 The Edison pearls are an original pearl variety with a core, originated from a new Chinese shellfish breeding, with very special shine and a metallic-looking surface. This trailer is initially delivered without a chain. You can choose between 4 variants: Without suspension, with silver jewelry wire, with silk ribbon or with a very fine real 925 sterling silver necklace.